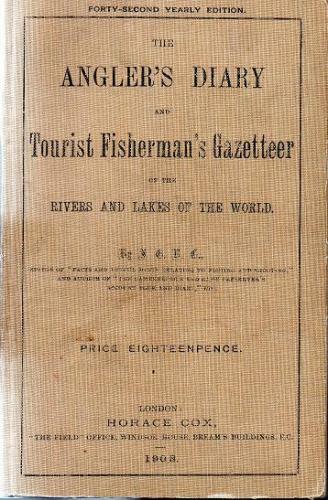 Subtitled 'And Tourist Fisherman's Gazetteer Of The Rivers And Lakes Of The World', and 'To Which Are Added Forms For Registering The Fish Taken During The Year.' Forty second yearly edition of this almanack, with reports on rivers and lakes all over the world as well as advertisements. Also with several pages of angler's notes with tipped-in newspaper cuttings. Spine frayed and weak.